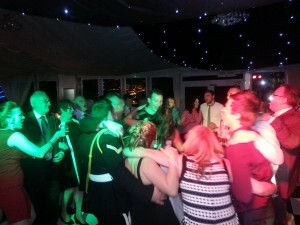 4th January ’14 – First time I’d played at Haslington Hall near Crewe in Cheshire. It was also my first wedding disco of 2014, great way to start the year! Haslington Hall is a Grade 1 Tudor mansion on the outskirts of Crewe which makes a beautiful setting for a wedding party. 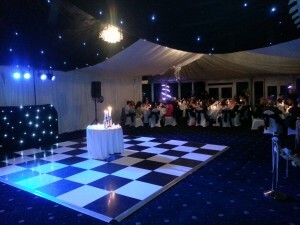 After their wedding ceremony & drinks reception in the main hall, the wedding party moved into the Orchard Marquee for the wedding breakfast & evening reception. 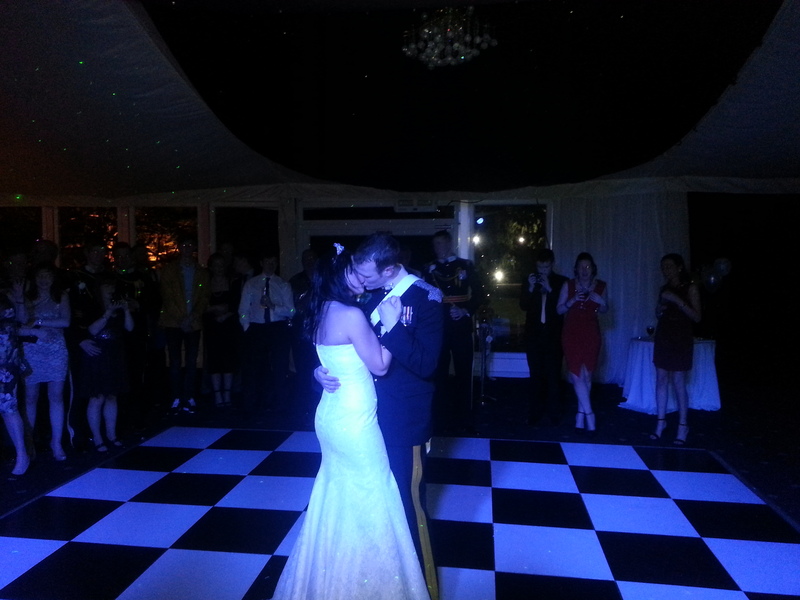 Mr & Mrs Grant had hired my wedding DJ services to also cover the wedding breakfast, providing suitable background music throughout & a wireless microphone for speeches. Their first dance performed to Ellie Goulding ‘How long will I love you’. Jess, the bride, had sent me a list of requests, both for the wedding breakfast & the evening disco. 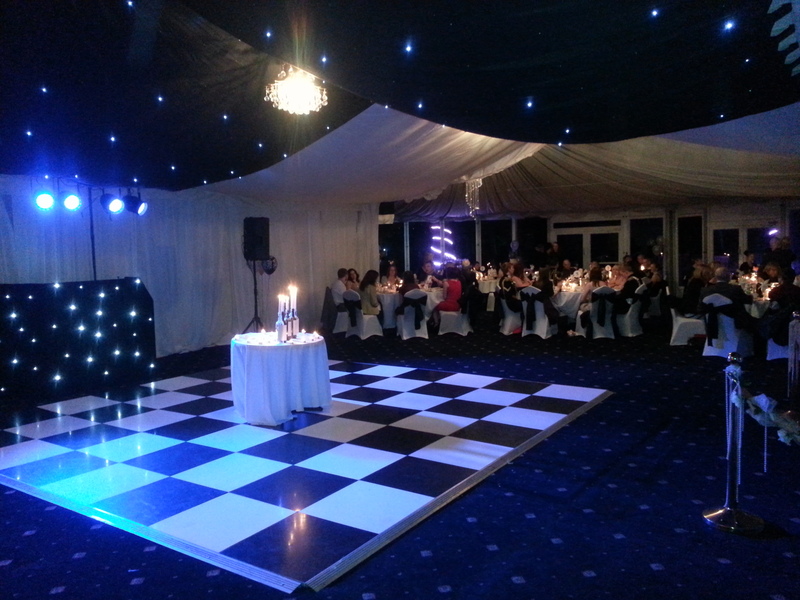 The playlist was a real mix of music catering for just about everyone, all popular dancing hits though & a great night was had by all! All the best to Mr & Mrs Grant! As a guide, expect to pay £325 for the first 5 hours playing time, any additional time is £30 per hour.